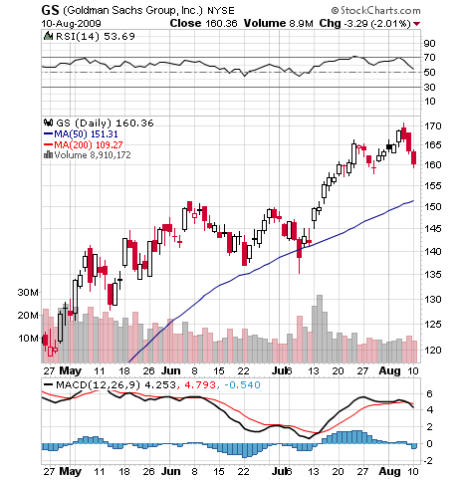 Criticizing Goldman Sachs – better late than never! During the last several decades Wall Street has become the great American money machine only to fall into disgrace during the current financial crisis. Many blame a proverbial greed that took hold during the great boom for the current financial and economic malaise. Today none of the highly regarded firms that once ruled the street still exist. Some have gone under, taken over by their bigger rivals, and even those that survived changed their status from investment firm into a more humble bank holding company. One of those firms still around is Goldman Sachs. The firm founded in 1869 by a German Jewish immigrant, Marcus Goldman, has become the leader of the pack among Wall Street investment banks. In 1999 the firm went public and hence started their myth of infallibility and unlimited prosperity that surrounds Goldman up to this day. No talk about the new modesty on Wall Street now that GS is free from government influence, but the rest of us is still marred by economic contraction and financial hardship the likes of it we have not seen since the Great Depression. So how come that Goldman seems to be invulnerable and does not feel the pain? Matt Taibbi, writer for the Rolling Stone, a magazine also known for its often enigmatic and controversial political coverage, lashes out at Goldman: The Great American Bubble Machine. He follows through by trying to explain how Goldman Sachs has engineered every major market manipulation since the Great Depression. from Matt Taibbi’s blog: If America is circling the drain, Goldman Sachs has found a way to be that drain, an extremely unfortunate loophole in the system of Western democratic capitalism, which never foresaw that in a society governed passively by free markets and free elections, organized greed always defeats disorganized democracy. The drain that has the capacity to defeat democracy is according to Taibbi relative simple: Goldman positions itself in the middle of a speculative bubble, selling investments they know are crap. Then they hoover up vast sums from the middle and lower floors of society with the aid of a crippled and corrupt state that allows it to rewrite the rules in exchange for the relative pennies the bank throws at political patronage. Finally, when it all goes bust, leaving millions of ordinary citizens broke and starving, they begin the entire process over again, riding in to rescue us all by lending us back our own money at interest, selling themselves as men above greed, just a bunch of really smart guys keeping the wheels greased. Matt sees the same pattern of a basic scam going as far back as the Great Depression, and most recently identifying Goldman’s role during the internet bubble, the housing bust and even the huge spike in oil prices. from Matt Taibbi’s blog: Goldman did it by persuading pension funds and other large institutional investors to invest in oil futures agreeing to buy oil at a certain price on a fixed date. ….. Between 2003 and 2008, the amount of speculative money in commodities grew from $13 billion to $317 billion, an increase of 2,300 percent. By 2008, a barrel of oil was traded 27 times, on average, before it was actually delivered and consumed. The nice thing about Taibbi is that he also does not refrain from name-calling, namely those who graduated from GS only to end up later in some important government position. Former GS CEO Henry Paulson and Bush’s secretary of Treasury, the architect of Wall street’s bailout funneled trillions of dollars to his friends in the industry. Robert Rubin, Bill Clinton’s Treasury secretary, joined GS in 1966 where he stayed as Co-Chairman till 1992 only to end up later as chairman of Citigroup. John Thain, Robert Steel, Joshua Bolton, Mark Patterson, Ed Liddy, the head of the World Bank, the head of the New York Stock Exchange and two heads of the Federal Reserve Bank of New York were all on Goldman’s pay list at some point or another. Not surprisingly Taibbi focuses on Robert Rubin, the former Goldman banker turn Treasury secretary under Bill Clinton, whose persona was hyped as the smartest person ever to walk the face of the Earth. The repeal of the Glass-Steagall Act, which allowed investment banks, commercial banks and insurance companies to engage in merger, was one of the political hall marks achieved by Clinton’s then Treasury secretary Rubin. In 1998 Travelers Insurance group, the owner of brokerage firm Smith Barney, announced a $76 billion merger with US bank Citigroup. The deal closed after the repeal of the Glass-Steagall Act in November 1999. A few months later after Clinton’s term in the White House had expired, Jeff Rubin became chairman of Citycorp, which after the merger with Salomom Smith Barney created the largest financial services company in the World. During his tenure at Citicorp Rubin earned several hundreds of millions of dollars in compensation. Today Citicorp is at the center of the storm on Wall Street and subsequently the global economy. Taibbi modifies a misconception of mostly blaming Republicans for Wall street’s deregulation. The repeal of the Glass-Steagall-Act which is according to many at the core of the current financial crisis, is clearly the result of politics made by Democrats. 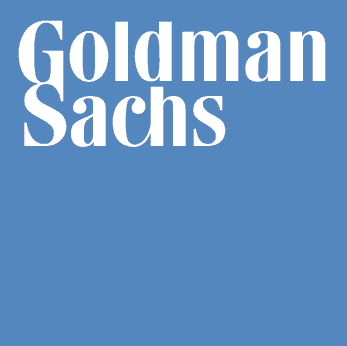 In fact Goldman has very long standing and deep ties with the Democratic party. GS was the number one campaign tributer to president Obama. Regardless of which political party is to blame most, it seems obvious that Goldman graduates by occupying important government positions could deliver to their parent firm whatever they wanted and needed. Paulson’s bailout of insurance giant AIG serves as good example. Thanks to the bailout GS got paid in full for their bad bets. Homeowners or retirees who lost their live savings in the current crash are not that lucky. Taibbi concludes: The collective message of all of this – the AIG bailout, the swift approval for its bank-holding conversion, the TARP funds – is that when it comes to Goldman Sachs, there isn’t a free market at all. 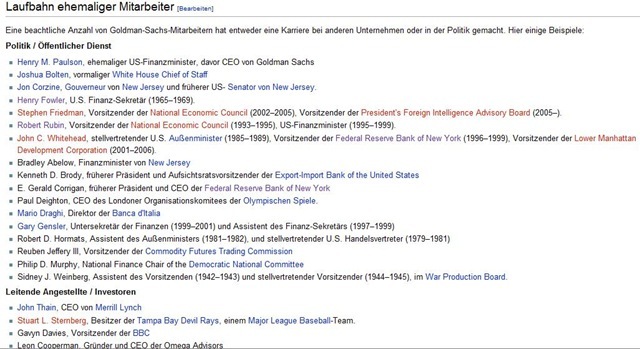 Nobel laureate Stieglitz calls Goldman the great American revolving door, through which the firm’s executives first leave only to end up in some high level government position. Once this has expired they enter the firm again through its revolving door and continue their ill gotten endeavors. In doing so they effectively block much needed financial reform of the financial services industry. Ramifications from the credit crisis have reverberated around the World. Millions have already lost their jobs and many more will do so in the months and years to come. Even the Federal Reserve admits that unemployment will increase further from already painful levels. While certainly nobody sheds a tear about high paid CEO’s the WSJ takes it up and reports on the difficulties of firms in the financial-services industry to find replacement for their vacant CEO positions. About 18 percent of the 2500 biggest firms in the US have lost their CEO in 2008, the highest rate of forced succession in any industry. This is a unique situation which goes counter to anything the industry has experienced in the last couple of years where high paying jobs were in strong demand. After Lehman the strain of the credit crisis, curbs on executive compensation and the specter of government scrutiny have cut short this once rosy scenario. Some of the most venerable applicants for open CEO positions are also tarnished with a reputation of being responsible for the problems that have emerged since September of last year. "Let’s face it: There is no one" . Obviously people inside the struggle for CEO succession at BofA and Citigroup face a dilemma. These mighty institutions are left with lack of interest in their highest job openings, something that is either very sad or very dumb. According to the WSJ, Jerry Grundhofer, the former chief executive of regional bank U.S. Bancorp, hesitates to take the lead at Citi. He expressed concern about the relatively low pay that likely would come with the job. By the way he seemed also worried about the government’s involvement in the firm, most likely because of limited compensation measures. Robert Steel (former Treasury Department undersecretary), John Thain (former Merrill Lynch CEO) and David Moffett (exCEO of Freddie Mac) are among the most lucrative CVs being handed down to the boards of American International Group, Hartford Financial Services Group, mortgage company Freddie Mac, BofA and Citi. But there are also those who can only smile and shake their head in disbelieve at this problem. Employees and executives at investment firm Goldman Sachs are faced with the specter of the largest bonus program in the firm’s 140 year history. Last week, after Goldman paid back all TARP money it received in the wake of the bail-out, it has paved the way for this stunning development. The firm’s second quarter results will not be known until next month but a jump in earnings is expected and that despite the company’s pay back of $10 billion to the US government. This has led some to speculate that GS never needed government funds in the first place but was forced to participate in the TARP program (Was TARP just a ruse? ; see video-center). The fact that some of the biggest financial institutions are being able to pay their highest bonuses in history and reap the profits of a crisis they helped to create is deplorable. It certainly is the wrong signal at the wrong time.